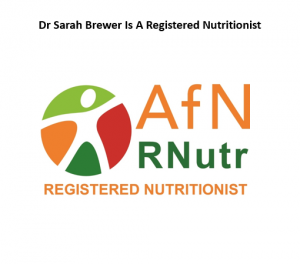 Hi, I’m Dr Sarah Brewer, a registered doctor, registred nutritionist, registered nutritional therapist and the author of over 60 popular health books. I’ve set up this website to share information, advice and my recommendations on the best healthcare products available to support a healthy diet and lifestyle. Having worked as a GP, hospital doctor, health editor and a columnist for national newspapers and magazines, I’ve tried and tested numerous healthcare products and formed strong opinions on which offer good value for money, and which are best filed in the bin. Within these pages, I am sharing my top picks from all the products that cross my desk. You may not agree with my choices – in which case let me and other visitors know by sharing your opinions and advice in the comment box on each page. If there is a product you would like me to review, let me know. I will continue to add new posts as and when my other work allows. If you are interested in controlling high blood pressure, please visit MyLowerBloodPressure.com. 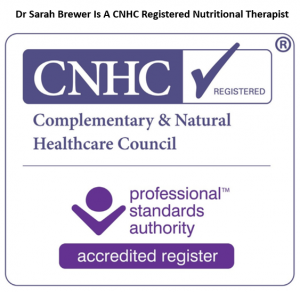 If you are interested in Nutritional Medicine, please visit DrSarahBrewer.com. You can also follow my nutrition and recipe tweets via @DrSarahB and my health and fitness tweets via @DrSarahBHealthy. I qualified from Cambridge University with degrees in Natural Sciences, Medicine and Surgery. I worked at Addenbrooke’s Hospital in Cambridge for five years, where I looked after patients within the general medical, surgical and paediatric wards, as well as the liver transplant and intensive care units. After qualifying as a general practitioner, I worked as a full-time GP principal in Plymouth, Devon, for five years, then returned to hospital medicine in King’s Lynn, Norfolk. During my career, I realised that many health problems are related to diet and lifestyle choices. As a result, I studied to gain a Master’s degree in Nutritional Medicine from the University of Surrey. I now work in private practice but am not currently taking on new patients. If you have any health concerns, please consult your own doctor sooner rather than later. I’ve set up this website to share my take on the best health and wellness products that you can use to help maintain good health. Feel free to leave comments so that other readers can also benefit from your personal experience, and please share any posts you find useful or interesting. Thank you. 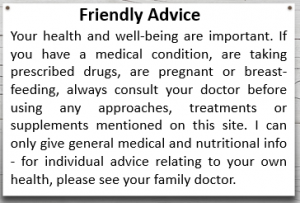 Nothing in this blog should be construed as personal medical advice or instruction. Do not do anything, or stop doing anything, as a result of anything you read here. Always seek individual advice from your own doctor, dietician or nutritionist on all matters relating to your health and well-being. While I make every effort to ensure all posts are accurate, no information here is intended as the ‘final word’ on any topic – medicine is a fast-evolving field and something which is accepted as a fact today may be considered totally wrong in the not-too-distant future. I cannot be held responsible for any information that is missing from this site, or for any incorrect information found by following a link on this site. My posts and opinions are all provided in good faith.